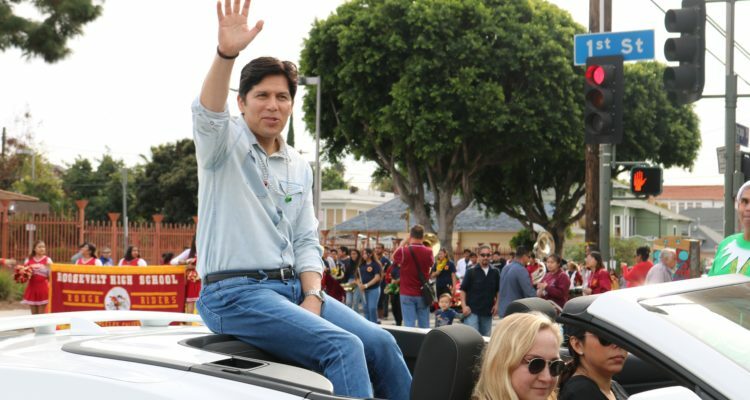 Former state legislator Kevin de León plans to run for City Councilman José Huízar’s seat at City Hall in 2020, the Los Angeles Times reported Monday. 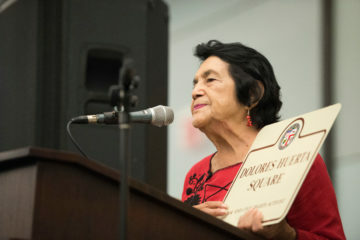 De León, who was elected to the State Senate in 2010 and served as President until last year, ran an unsuccessful campaign to replace Sen. Dianne Feinstein in the U.S. Senate in November. — after Huízar, who has held the seat since 2005, reaches his term limit in 2020. The 52-year-old has already been endorsed by “nearly two dozen” elected officials in the L.A. area, the Times reported, including City Council members Curren Price, Paul Koretz and Mitch O’Farrell. Several others have filed to run in the March 2020 election, according to City News Service. 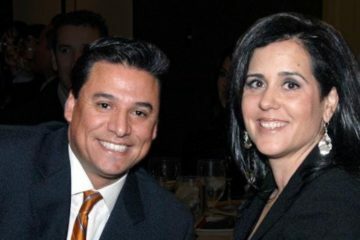 Huízar’s wife Richelle Huízar announced her campaign for the seat in last year but dropped out in November after FBI agents raided her home and her husband’s offices. 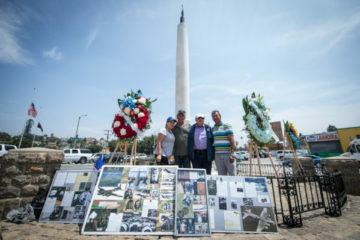 Officials have not disclosed the reason for the investigation, and Huízar remains in office despite calls for his resignation. De León recently moved to Eagle Rock from his home in Mt. Washington, and accepted a position with the UCLA Luskin School of Public Affairs as a policymaker-in-residence and senior analyst. 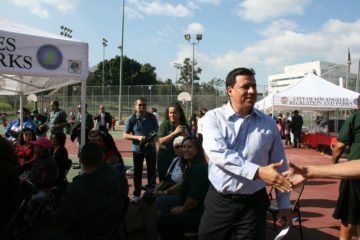 Photo above: Kevin de León at the Boyle Heights Holiday Parade in December. The raids on the Huizar home, and the offices were tired to potential corruption charges and an investigation in to bribery by foreign agents according to the search warrants that were released.